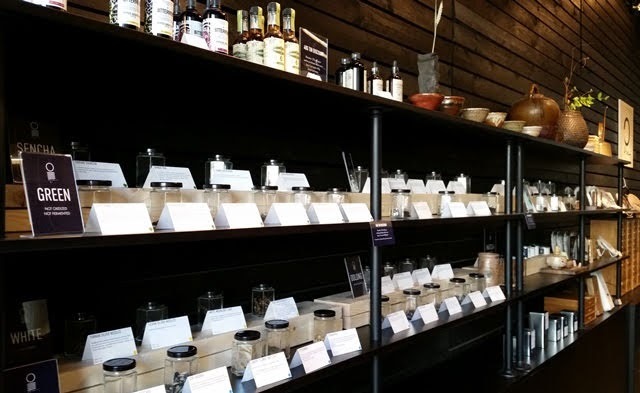 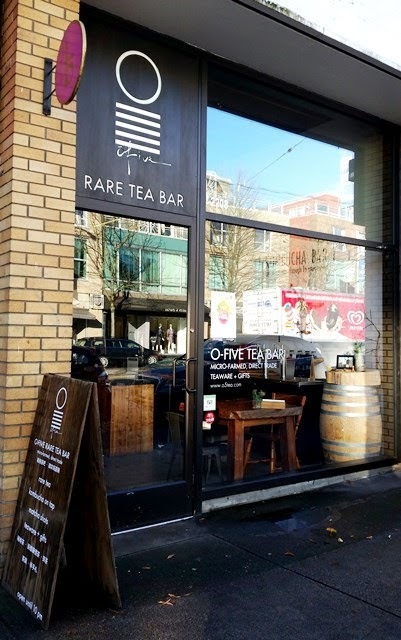 O5 Tea has been serving rare and direct source tea in Vancouver's chic Kitsilano neighborhood for nearly 7 years. 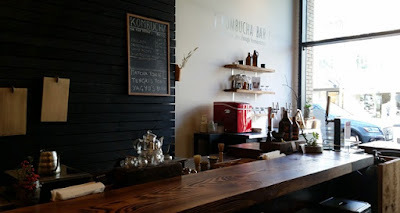 The tea and kombucha bar is located on West 4th Avenue near Yew Street.. The decor interior is modern and understated with warm wood features and lighting that reminds me of the work of Yuri Kinoshita. 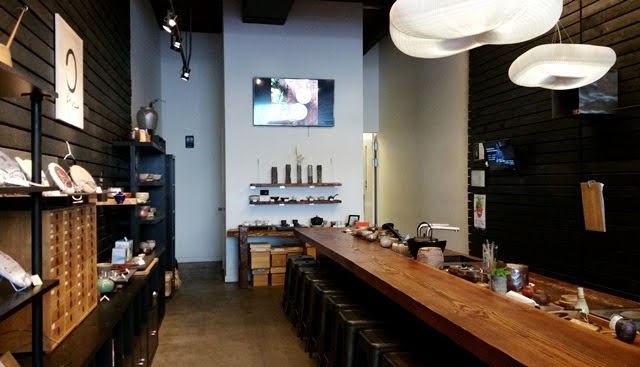 A tea bar with seating runs down the length of the room and behind that bar is an impressive array of tea making equipment, all of which gets regular use in preparing the diverse styles of tea that the shop carries. 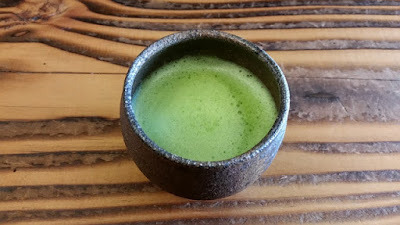 My visit was first thing in the morning, so I had my pick of seats. During special events and other busy times, seating may be at a premium. O5 offers a thoughtfully curated selection of direct trade teas. 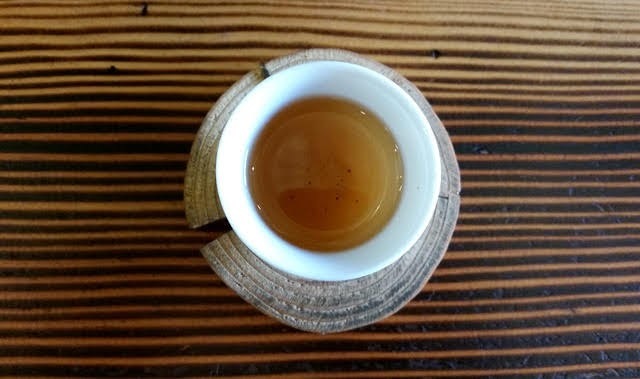 Tea packaging includes brewing instructions and information about the grower, including coordinates to their tea farm so you can look up your tea's origin on a satellite map. Samples of most of the teas are available to see and smell before making your selection and, of course, you can enjoy any of these teas brewed in-house. 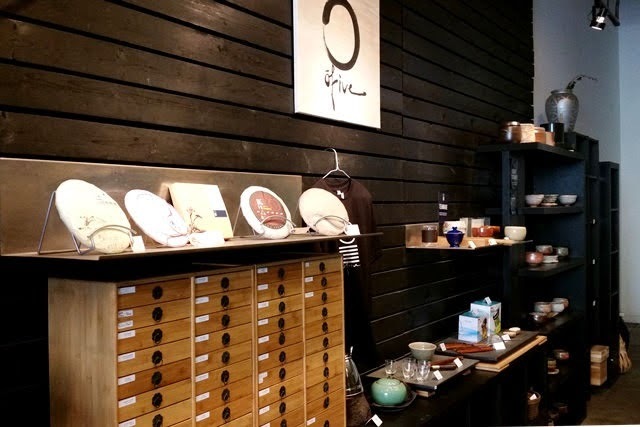 In addition to tea, O5 sells teaware including pieces by local artisans, kombucha supplies, and gift items. 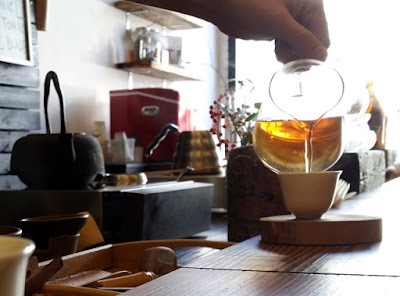 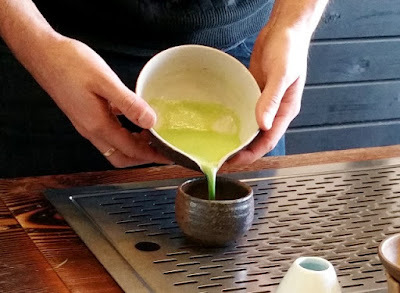 For this visit, I enjoyed a tea flight prepared graciously by Geoff Sugiyama. 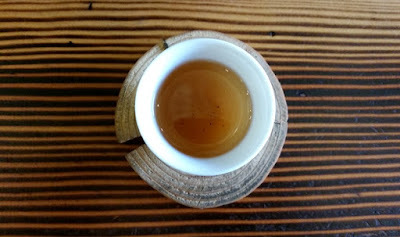 A cake of old growth Assamica from Mae Suai village in Thailand's Chiang Rai Province. 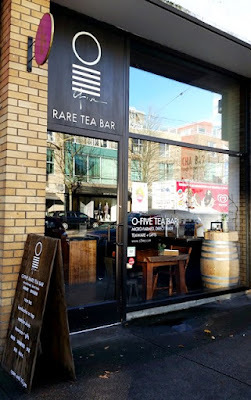 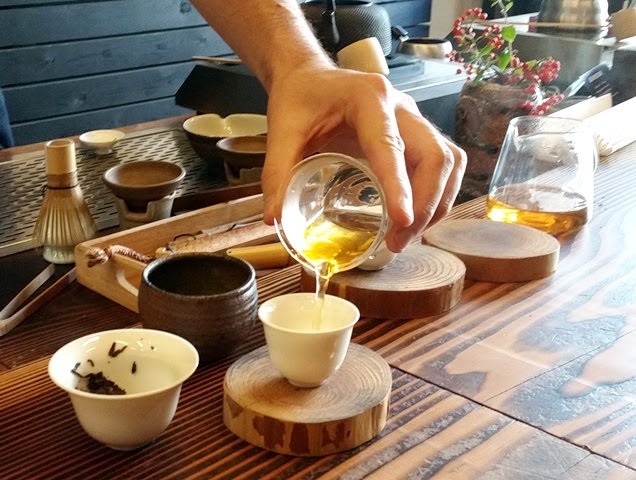 Be sure to visit the O5 Event Page to learn about events like tea tastings, tea ceremony, kombucha making, and ikebana.